What better way to ring in the new year than learning about the hottest interior design trends for 2019? Whether your furniture style leans more toward modern and contemporary or traditional and ornate, you can still find ways to incorporate these trends without having to change your whole look. Even if you’re not planning on redecorating this year, you might find some home décor inspiration you can’t live without. One of our favorite 2019 interior design trends is mixing metals in decorating. The mixed metals trend involves using a combination of different metal accents (i.e. silver with gold, brass with stainless steel), all within a single room in the house. In the past, people tended to match their metals, but contemporary design now embraces the mixed metal look. If you’re worried about clashing, follow these tips for mixing metals in decorating: choose a dominant metal, balance warm- and cool-hued metals, and match your finishes. Thinking about incorporating mixed metals in your home décor? These stylish accent pieces might serve as some inspiration to help you get started. Planning on buying new furniture in 2019? Now is your chance to take advantage of the geometric furniture trend that’s sweeping the interior decorating world. This hot design trend includes geometric patterns on upholstery, pillows, curtains, bedding, rugs, and wallpaper, as well as the use of circles, squares, triangles, hexagons, and other geometric shapes crafted into the furniture itself. While you may hesitate to leverage mathematical concepts into your home design, the natural rules of geometry create perfectly balanced furniture that add an element of sophistication, visual intrigue, and fun to your home décor. Love the geometric furniture look? 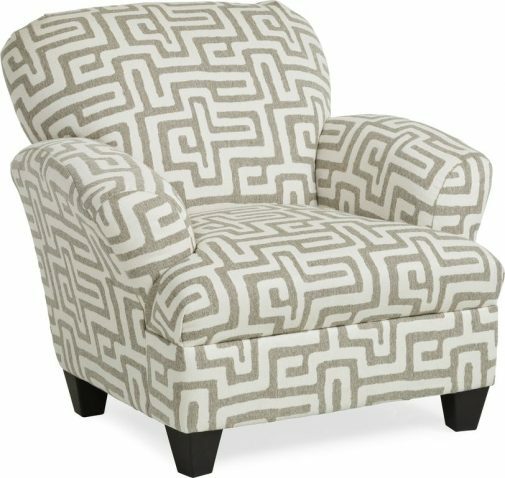 At Star Furniture & Mattress, we have geometric-patterned looks for every room in the house. Get started with these fun accent pieces, sure to inspire. In the past, wooden headboards have been all the rage, but in 2019, the interior design experts at Star Furniture & Mattress are anticipating the upholstered headboard trend to explode. Upholstered headboards come in all shapes, sizes, and styles, so you can find the perfect upholstered headboard for your bedroom, no matter your preferred furniture style or budget. 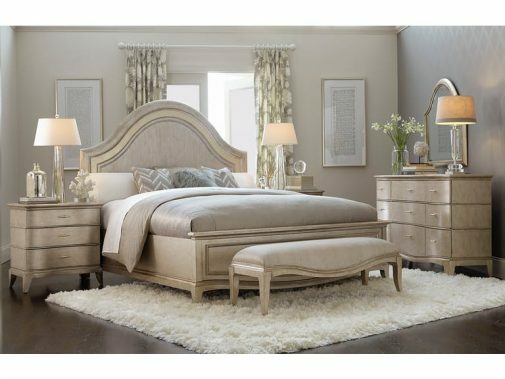 From traditional-style sleigh beds to modern wall beds, many upholstered headboards are designed with neutral-colored fabrics and stylish adornments, including button-tufting and nailhead trims. Regardless of which upholstered headboard you choose, it’s sure to make your bedroom pop. Considering buying new bedroom furniture in the new year? Star Furniture & Mattress has an array of upholstered headboards to choose from. While you’re at it, check out our huge selection of new mattresses, and if you spend over $999 on a mattress, we’ll throw in free delivery. Here are some of our favorite upholstered headboards available now. In home design, velvet has often been synonymous with lavishness and luxury, and while velvet furniture still carries with it an air of sophistication, it has become much more mainstream. Not only does velvet upholstery look great with traditional shapes and tufting, but it can also add a fun flair to minimalist modern frames. To get started with this interior design trend, we recommend neutral colors, blues, and blush tones. Whether you’re looking for velvet-upholstered headboards, velvet couches, or velvet dining chairs, Star Furniture & Mattress has what you need to start decorating. There’s a reason bold accent furniture is one of the hottest trends in interior design. If you’re decorating a home in the modern contemporary style, you’re likely planning on featuring natural colors or shades of black and white. While neutral colors look great, you might consider using bold accent furniture as focal points for your room. Try choosing bold furniture that features bright, primary colors, fun patterns, and unique designs so they’ll stand out against the neutrals in the room. 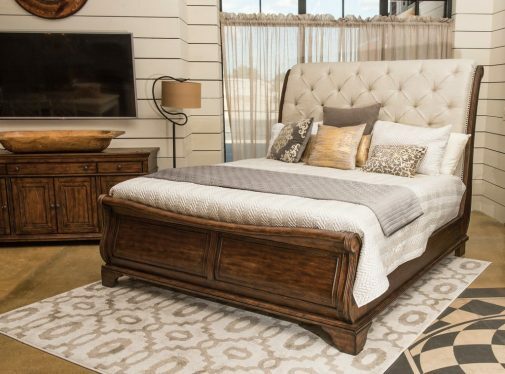 Bold accent furniture is the perfect way to make your room pop, and Star Furniture & Mattress features plenty of accent furniture, great for making a statement. 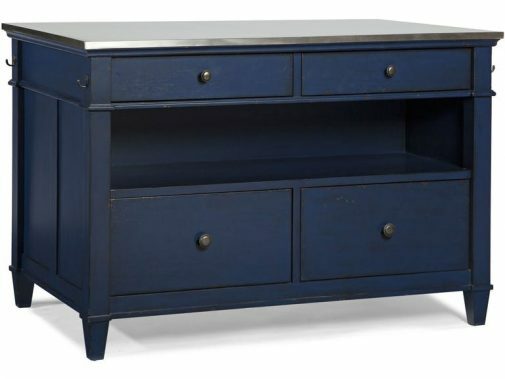 Whether you decide to go for bright colors, unique shapes, bold patterns, or some combination of the three, you’re sure to find exactly what you’re looking for at a Star Furniture store near you. As sustainability continues to grow in popularity, so does rustic style in interior design. Rustic furniture tends to have a natural and rugged feel and includes characteristics such as raw materials, distressed metal, leather, and wood, stone detailing, fireplaces, cozy seating, and more. Because of its use of raw elements, rustic furniture is easy to mix with other furniture styles, enabling you to create less predictable designs that are unique to your personal style. 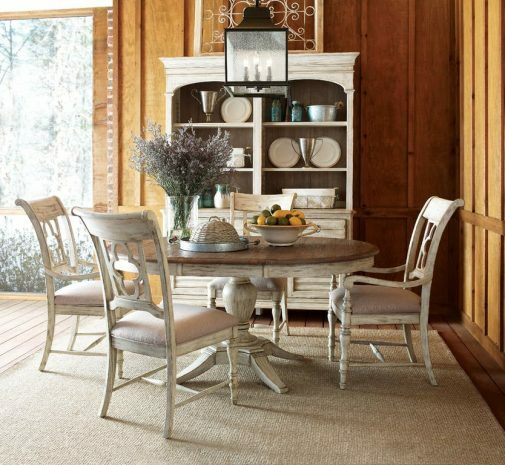 Thinking about incorporating some rustic furniture into your home décor? Check out these pieces, which incorporate rustic characteristics and look great in every type of home. In 2019, look for even more bold-patterned rugs in living rooms, dining rooms, home offices, and bedrooms. Especially if you have neutral-colored furniture and walls, a bold rug can really fill out the room and make it dazzle. Not only will it create an eye-catching focal point, but if you choose the right size, it can even make a small living room seem larger. Looking for a bold-patterned rug to tie your room together? Consider these fun patterns: animal print, geometric shapes, floral print, and more. Really want your rug to stand out? Choose a bold color! One of the hottest trends of 2019 is minimalist furniture. With minimalist furniture, you’ll see a lack of superfluous details and a focus on clean, sleek lines. 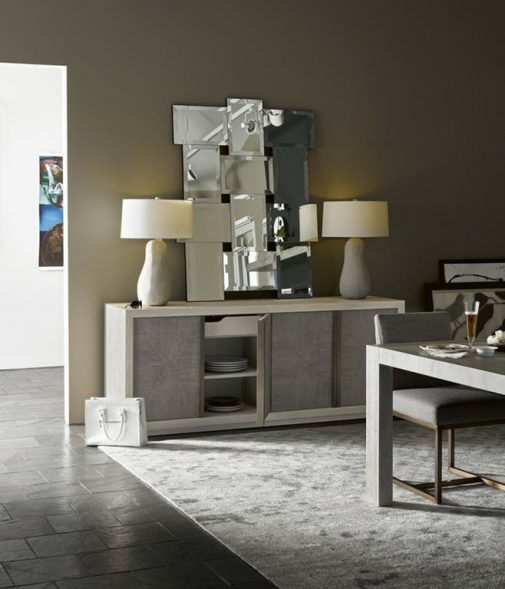 Because minimalism is a basic principle of modern furniture, which is incredibly popular right now, many minimalist pieces feature elements from other hot trends, including mixed metals, geometric shapes, and velvet upholstery. 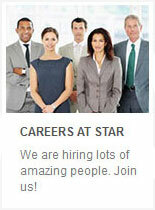 You might even be able to take advantage of multiple trends in one special item. If you’re looking to try out minimalism in your home or apartment, these pieces will serve as inspiration. Remember, minimalist furniture looks best when it’s paired with minimalist décor, so try to avoid visible clutter and too many trinkets. In the past, kitchens tended to stick to white, blacks, greys, and silvers, but with the new year comes a new trend: colorful kitchens. Whether the colors come from ditching stainless-steel appliances for brighter alternatives, painting the walls, saying goodbye to natural wood veneers in favor of festive colors, or choosing colorful furniture like kitchen islands and bar stools, expect to see more color in the kitchen in 2019. Want to make your kitchen more colorful without having to make too many changes? Why not start with colorful kitchen islands, bar stools, and appliances. While minimalist furniture with straight, sleek lines will continue to grow in popularity in 2019, curved furniture is also making a comeback. More and more, our designers are recommending furniture that is curved or circular, including swivel chairs, round cushions, sloped mirrors, and curvy beds, couches, and dressers. Not only does curved furniture give your room a glamorous vibe, but it’s also a little unpredictable and fun. Don’t throw out your boxy and straight-lined furniture just yet. While curved furniture is making a comeback, you can take advantage of the look with a few carefully-placed pieces of curved furniture. Some interior design trends continually fall in and out of favor, and while floral patterns are never completely out of style, they’re gaining popularity going into 2019. Not only do floral prints bring a splash of nature to your living space, but they also tend to incorporate bold, vibrant colors, which help to brighten up your home. When searching for floral print designs in 2019, keep your eye out for big flowers, bold colors, and fun accessories. In fact, you can start your search at Star Furniture & Mattress, where we have floral furniture, throw pillows, lamps, rugs, and more. 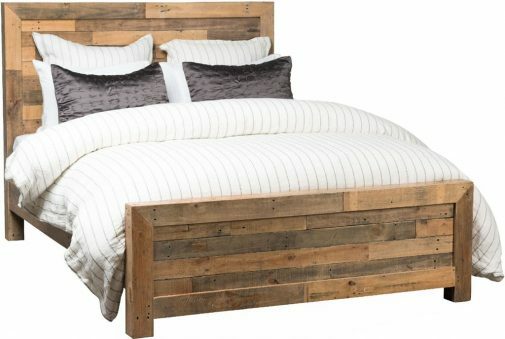 With the return of the rustic furniture trend, we’re also seeing an increase in natural and reclaimed wood furniture. Rather than covering up the natural wood grains with paint or masking other materials with veneer, more and more people are embracing the raw beauty and durability of wood. Not only does natural wood make great furniture, but it can also be used in cabinetry, home décor accessories, and more. Want to ease into the natural wood look? Choose natural wood accent pieces or one large piece of reclaimed wood furniture to serve as the focal point in your room. Natural wood complements many different types of furniture, and you can always add more wood as you go. 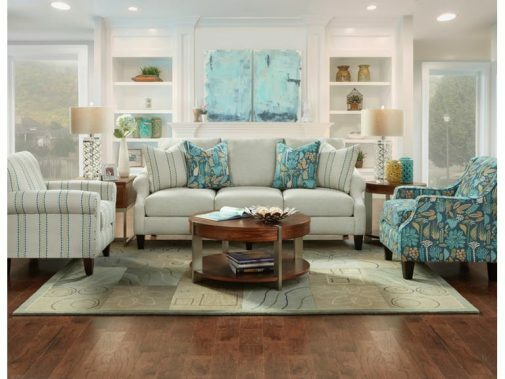 Say goodbye to bedroom, living room, and dining sets, because one of the hottest 2019 interior design trends is mixing and matching furniture. Rather than choosing furniture sets that are designed to go together, choose furniture that complements each other without perfectly matching. This gives you the opportunity to showcase your own unique style and create fun combinations of your own. 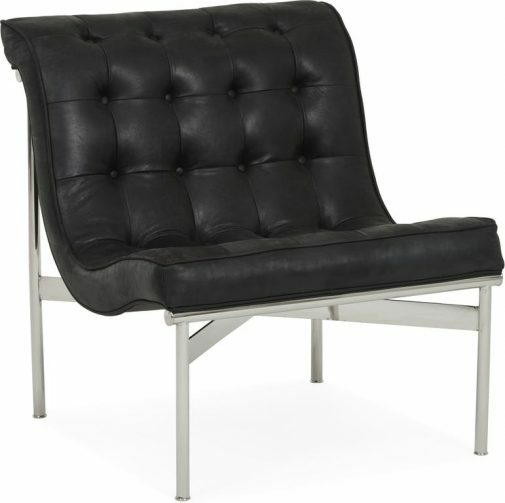 You can also mix and match furniture styles to create a look that’s distinctly you. You don’t have to be professional interior designer to mix and match furniture or furniture styles, but when you shop at Star Furniture & Mattress, you have access to free interior design services to help you find complementary pieces for your home. They can help you mix sets and styles for a look that’s both stylish and uniquely yours. Need help furnishing and decorating your home for the new year? Check out our interior design blog for helpful information and design tips, including the top 10 interior design mistakes and how to furnish and decorate your first apartment. Whether you’re looking for timeless looks or the hottest trends in home design, we’ve got something for everyone. 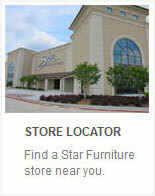 Visit one of our furniture stores in Houston, Austin, San Antonio or Bryan, Texas today.